The final piece of the puzzle to calculating Spring Rate is to measure the spring’s angle of inclination front and rear so that we can determine the Angle Correction Factor (ACF). This is required because the further the spring’s installed angle is from vertical the more spring rate required to support a given weight. 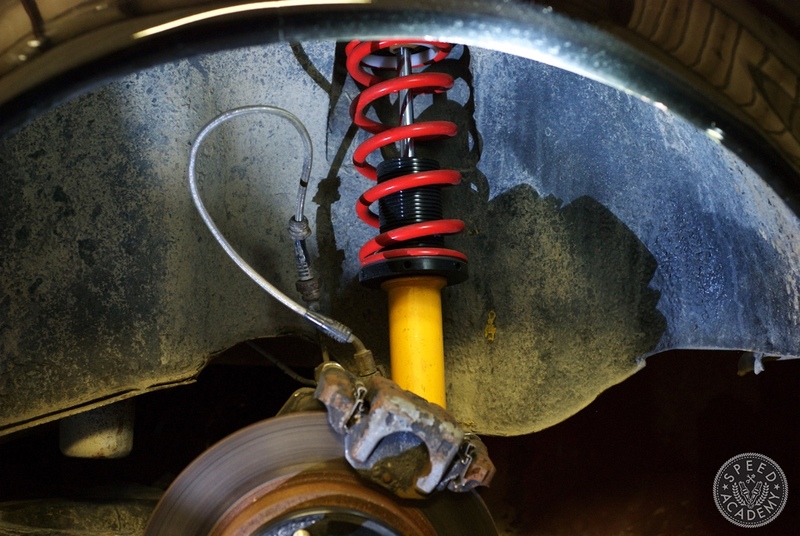 For example, if you require a 200 lbs spring mounted vertically, at a 30-degree angle a 230 lbs spring is needed to support the same weight. We measured spring angle using a “fancy” magnetic tool like this one, which gave us readings of about 20-degrees of inclination for the front and 18-degrees of inclination out back. If you take a peek at the chart above you’ll see that gives us a ACF of .94 for the front and .95 for the rear. Looking at these numbers, 350 lbs makes perfect sense to us as a front spring rate choice, but 332 lbs for the rear seems way too high given that JP’s old setup was 450 lb front and 350 lbs rear and the tail end was way too active for his liking. 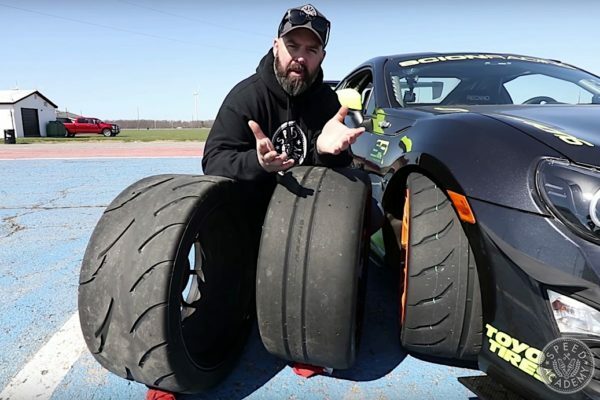 We suspect the problem is that as the rear suspension compresses the motio ratio moves aggressively away from it’s 2.25:1 ratio at static ride height to 1:1 ratio at 3” of compression travel. In other words, the required spring rate is halved at 3” of compression. We tried to control for this by averaging out our Motion Ratio measurement on the rear of the car, which gave us a ratio of .875, but if we instead use the ratio at 3” of compression travel, which is a pretty good estimate of where the rear supension would be in the middle of a corner where JP is experiencing that unwanted rapid transition to oversteer, we have a motion ratio of 1.00. If we recalculate rear SR rate using 1.00 as our MR, we get: 242/(1.00)²(.95) = 255 lb/in. This makes a lot more sense to us based on what JP’s experiencing in the corners, but since he was happy with the front end feel with the 450 lb/in springs on his old setup, we ordered 450 front 300 rear Eibach ERS linear rate race springs from Eibach Canada to go along with the Koni Sport shocks we ordered from Marcor Automotive. In hindsight we should have trusted our math and gone with 350 front 250 rear, but more on that later. 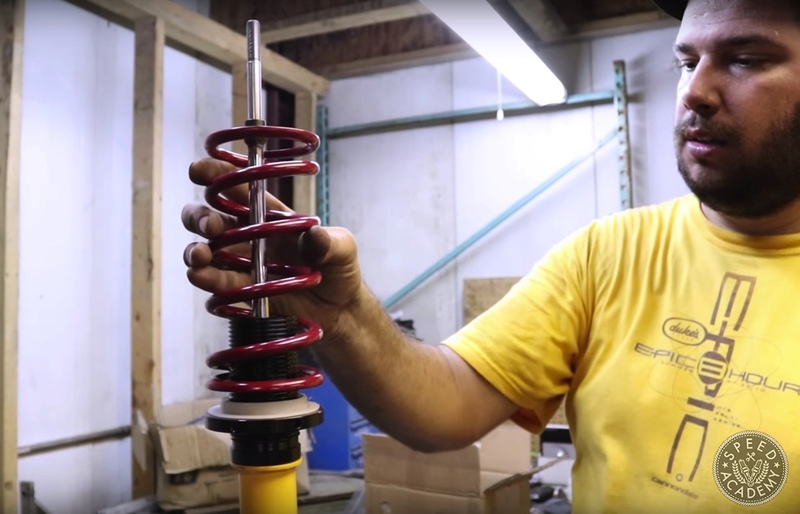 As you’ll see in Part 2 of the video series on this process, since JP’s car uses S13 shocks at all four corners, he sourced some second-hand KYB front strut housings to install the new front Koni Sport inserts into. This required a bit of work since the strut body needed to have a collar pressed on to put the Koni coilover sleeve and spring perch in the correct position, but with a little help from Hitman Hotrods, JP got it sorted out. Out back the Koni Sport for the S13 is coilover shock right out of the box, so all we had to do was assemble it with the Eibach springs and bolt them up to the chassis. We should have ordered a shorter rear spring (we ordered 7”, should have gone with 6”), but with JP lowering the rear shock mounting location for improved anti-squat we were able to make the 7” spring work. 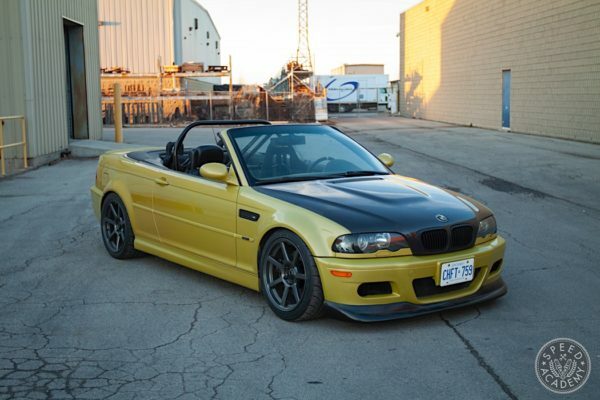 So how did this setup work at Toronto Motorsports Park, with a stock S2000 front swaybar and no rear swaybar? Well, we only got a limited amount of testing in because the car wasn’t triggering VTEC properly, but JP felt it was less prone to oversteer in the corners but could use further softening of the rear end to give the rear a more planted and confidence-inspiring feel. 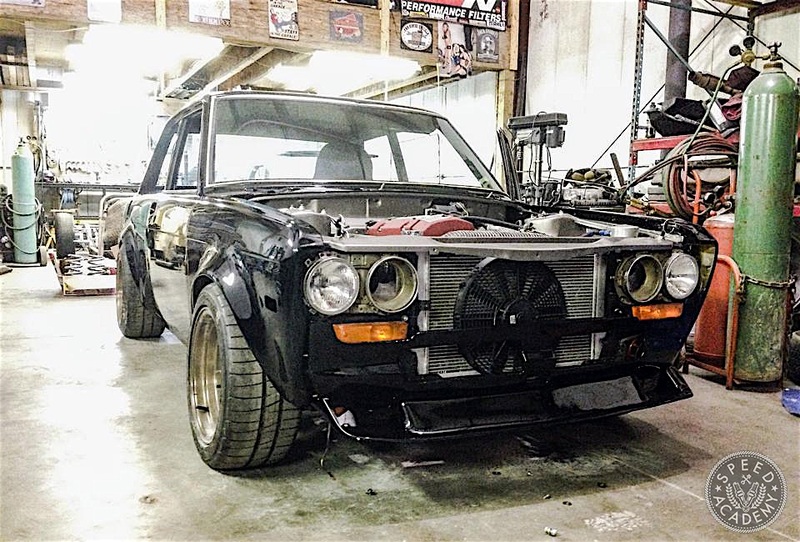 Since that test we’ve consulting with Jordan Connor from Crude Engineering, who has a seriously badass Datsun 510 race car with a turbocharged Ecotec engine under the hood. Jordan’s spent a lot of time sorting out the handling on his car and prior to adding all the aerodynamic aids had settled on 350 lbs front 250 lbs rear springs, just like our maths told us we should have done. 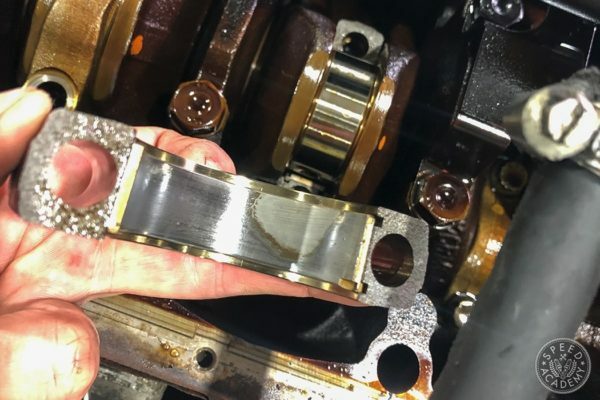 Jordan also runs a big (1-1/8”) front swaybar and no rear bar, along with a 1/4” of rear toe-in, which is very similar to JP’s setup, so in the springtime we’re going to test a set of 350 front and 250 rear springs as a new baseline and further develop the setup from there. We ain’t giving up on this old Dime, not by a long shot! With any luck, we’ll have it sorted well enough to make an appearance at GridLife in June. Fingers crossed! 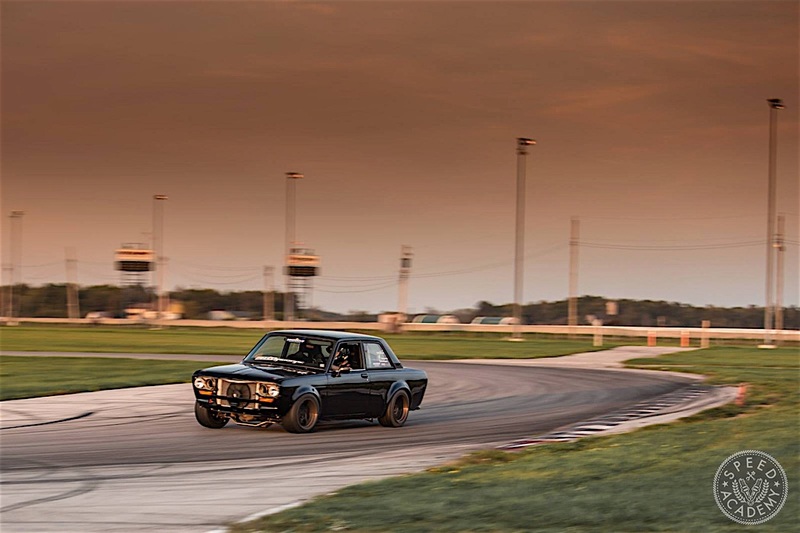 To see how JP built his Datsun 510 prior to this suspension maths & measuring party, check out the links below. 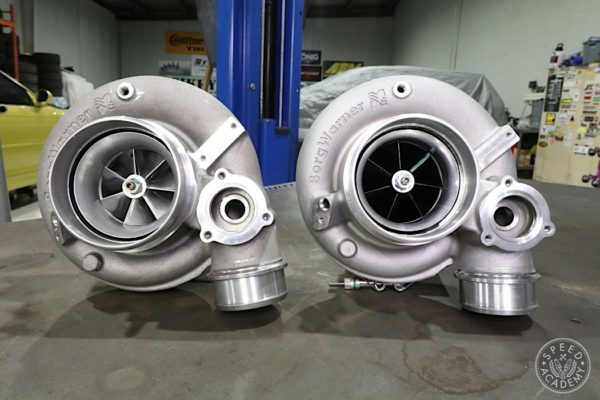 2 Comments on "How To Choose Spring Rates For Your Car"
Having read an awful lot of opinions on the subject of spring angle correction factor, the consensus of opinion is that it should also be squared in the calculation, just like the motion ratio is. Any thoughts? When you think about it, you have already accounted for the spring angle on the front suspension with your empirical measurements because you measured the actual displacement of the strut in situ, ie at its installed angle. This measurement takes full account of the impact of both lever arm ratios and installed spring angle, on the motion ratio.  If you wanted to apply the spring angle correction factor separately you should have measured only purely vertical displacement of ball joint on the suspension arm. This would have given only the lever arm motion ratio.